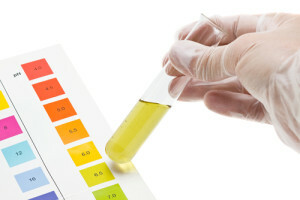 The acidity of your urine is measured with a test called PH. The term for the opposite of acid is alkaline. Lower numbers are MORE acidic. Higher numbers are LESS acidic. between 6.5 and 7, encouraging uric acid stones to dissolve while preventing calcium stones from forming. The tablets prescribed make your urine LESS acidic, and will therefore INCREASE the PH of your urine (Higher numbers = less acidic). Keep a record of the measurements for a day or two. If the PH is LESS than 6.5, your urine is too acidic and you need to take one MORE tablet each day. Don’t make adjustments each day – your urine may need a number of days to reflect the changes from your medication adjustments. After two weeks of therapy, go see your GP and show them your measurements and the number of tablets you are taking. They will confirm that you are on the right track!